Friday night was relaxing, I got to use my Lush Unicorn bath bomb. I broke it up into two pieces to be able to use it two times but I really think I could have broken it up into three pieces. SO excited to use this! Bath tub was very colorful! As you know, I went home this past weekend to look at my Bridal Shower venue with my family. Well guess what? It's officially booked! I was a little worried about this place because I didn't like any of the food but low and behold they had a breakfast menu, so I am happy about that. All thanks to my family for helping me! I will be sharing more on my blog this week with pictures of the place. Saturday I spent my day making my invitations for the Bridal Shower. As I was packing up to come back home Sweetie was hanging out with me the whole time. He wouldn't leave my side. What a loyal dog. He must have known I was leaving. That's all I have to share from the weekend. I'm saving photos for later this week, I have so much wedding details to share I don't want to post about them yet! Today I'm sharing what I clean my brushes with. I swear I stick with the same 4 brushes all the time, and it's not like I don't have other brushes, these are just my fav! I have been using this brush cleaner for over 4 years now and I haven't found anything I like more. I am not a huge fan of Bare Minerals products but this is my favorite of all. You can find this cleaner here. I really like this cleaner because not only does it clean your brushes but it also conditions the bristles as well, leaving them feel brand new again. I always fear skin breakage with brushes, the bristles can't be too rough on my acne prone skin so I am particularly sensitive to this. I cleaned my brushes on Sunday. I am ashamed to say this but I find that I only clean my brushes once every couple of weeks. Hence why I need to start rotating my brushes so that I am not using the same dirty ones. As you can see I'm still loving my Everyday Minerals brushes and my Sephora Hello Kitty eyeshadow brushes. The other one is by Elf and I use this when I occasionally put on liquid foundation or just need to cover up a pimple. This week seems to be flying by. I can't believe tomorrow is already Thursday! As promised I'm going to show you the draft of our wedding cake and cupcakes. I say draft because this isn't final and I already know I'm going to make changes. I liked everything to this cake besides the bottom layer, it just wasn't going to work with the flowers and as you guys know I'm not huge on flowers in my wedding. I will be adding a fourth layer in between the bow and the ribbon that will be just plain with the silver sequin ribbon. The bottom layer will be 2 layer and the flavor right now is vanilla with amaretto mousse (this will be the layer we cut into for our guests). It's designed with the pin tuck look and silver sequins between each cross hair with the bling ribbon. The middle layer is 3 layer with chocolate and cookies and cream filling. This layer will be a ribbon fondant with the bling ribbon. The top layer (which is ours to keep) is 2 layer with the chocolate and cookies and cream. 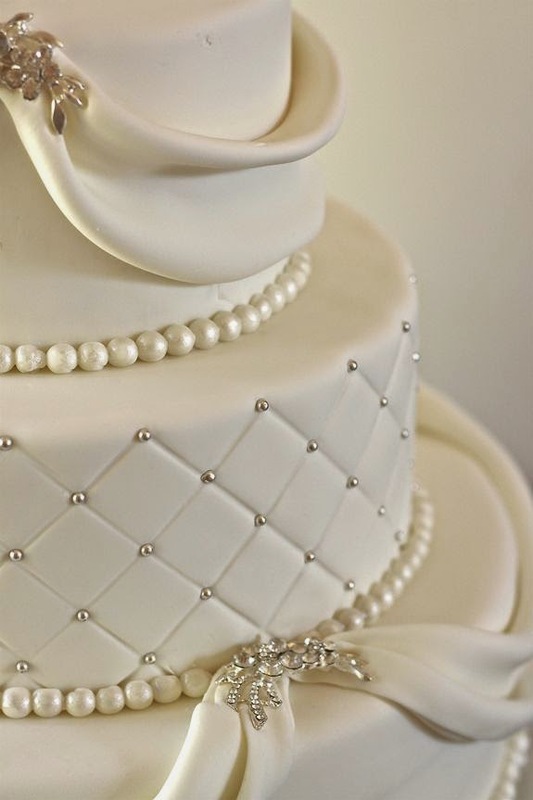 This is designed with a fondant bow with the bling ribbon. I know what you're thinking with the fondant, but her fondant is absolutely amazing and is a THIN layer with butter cream underneath. It was the best fondant I've ever tasted and you guys know I'm picky about my desserts. 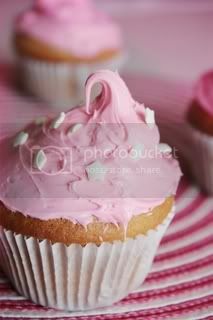 We are also going to have cupcakes. Our first cupcake will be chocolate with a peanut butter filling. 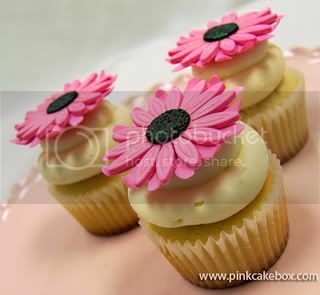 It will have the flower icing tip as pictured below but it will not be in a tea cup or with the purple ball on top. 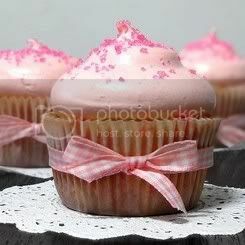 Instead it will have this beautiful carnation ruffle flower on top of each cupcake. It will go with the ruffle layer on our cake. For our second cupcake, it will be chocolate with Bailey's filling inside. 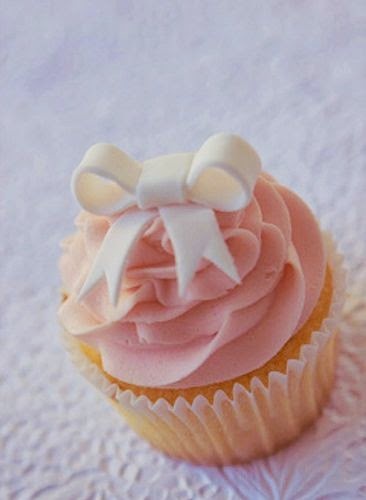 I don't have a picture of that cupcake, but how I designed it, it will be a ruffle tip icing topped with a fondant bow with silver pearl beads. 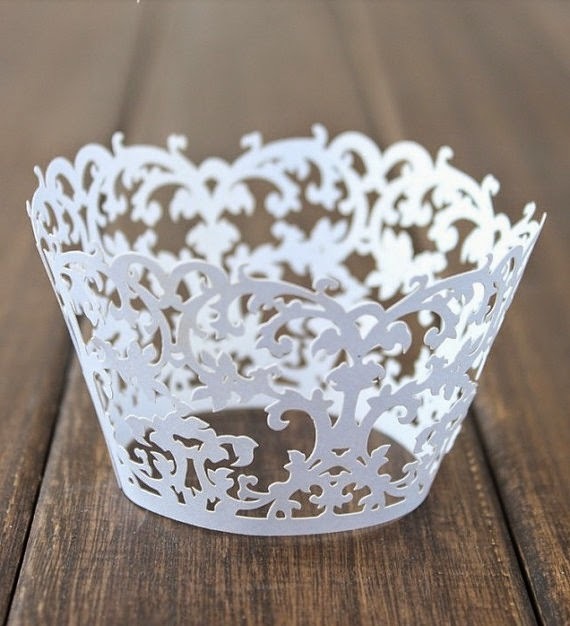 The liners will be silver with this type of lace cupcake liner. I'm SO excited about this cake and cupcakes. I haven't decided on a stand yet, our cake designer has a few but not sure if I like them, but we'll see. Today I'm recapping my Valentines Day weekend. It was a very relaxing and enjoyable weekend. I'm looking forward to this weekend because my mom and I are going to look at my bridal shower venue! I've been wanting to make my fiance this Pinterest recipe I saw because I thought he would like it. It's just white chocolate covered popcorn. So I went to the store on Saturday before the snow storm (bad idea) and picked up my three simple ingredients. Brach's conversation hearts for more of a crunch. Tah-Dah! It was as simple as making the popcorn, melting the white chocolate(I did it in a microwave for 2 minutes and drizzling it over the popcorn). Once I did that, I laid the popcorn on a cookie sheet lined with wax paper and let the chocolate harden back up. It was taking a while and I was impatient so I threw the cookie sheet in the freezer and it was hardened in less than 2 minutes. And then I just threw the hearts in and it was done in less than 15 minutes! While in the grocery store I picked up the new Knot magazine. LOVE! My gift for Valentines Day was the Kat Von D contour palette and the contour brush. Luckily this palette comes with instructions because I need it. I have never attempted to contour my face before, but I am going to give it a try. On Saturday I did some online shopping for some things for the wedding. I was looking at jewelry, shoes and a veil. Thank god for my mom! My mom helped me pick out my veil, this isn't the one I chose but isn't this one just adorable?! Saturday my fiance worked so we didn't go out to celebrate Valentines Day. I think this is the year we officially stopped celebrating or just put it on hold. And I completely understand because we're planning a wedding and weddings get expensive or at least that's where all your money goes! Low and behold he surprises me with flowers, balloon and Snoopy. I cried, literally, that was so sweet of him to surprise me like that. I literally have nothing to share from Sunday. All I did was clean and put things away from my fiance's birthday weekend. The above post title is a fact.. I have found the most amazing work pants that I feel the need to order a billion more.... It's true. In fact I may be ordering more this weekend. Yes, I love them that much. Now, don't get me wrong, not all dress pants are uncomfortable, I actually prefer work pants over jeans any day. But who enjoys buttoning them, especially when you're having a bloated day? Not me. Well there is a fix for that - dress pants that look like dress pants but are stretchy and pull on! Believe me, I know I'm sounding like a fat kid right now, but who doesn't love stretchy pants? Hello, isn't that why jeggings are so popular?! So why couldn't there be dress pants like that? And here they are. In all their glory. The tags are no longer attached because by the time I took these pictures I have already worn them a few times. I actually wore a pair today. Ha. Find them here for $39.95, but right now they are on sale for buy 1 get 1 free. I may pick up another black and then the gray pair. We'll see. Also pictured I bought a wrap around belt, but unfortunately it doesn't fit me. I need to find one of those hole punches to make it work. I picked up the earrings below to step out of my comfort zone. I've been sticking with plain stud earrings and wanted a change. I use to always wear long dangle earrings, I don't know what stirred me away! I absolutely love these and wore them when we went away for my fiance's 30th birthday. I looked online but unfortunately they are all sold out. You may be able to find them in your local New York & Company. Today I'm going to share some questions I asked our cake designer and next week I'm going to reveal our cake/cupcake design! Are you available for my wedding date? A lot of the cake designers I spoke with will book up to 3 or 4 wedding cakes per Saturday. So don't fear if you have a cake designer you really want and worry they will book up! How long have you been baking cakes? I guess getting someone you know that bakes delicious cakes/cupcakes doesn't really pertain to this question. But someone just starting out is kind of scary! 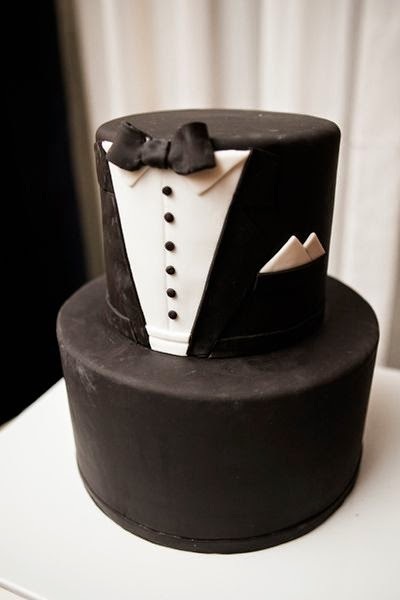 You may think you have a wedding cake and the week of the wedding when you try to confirm and you get a voicemail - scary! 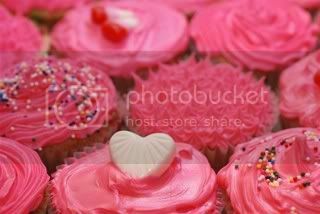 But for me, cake taste is important and I want someone with experience, it may not be as important to you as it is for me. When do you actually bake the cake? 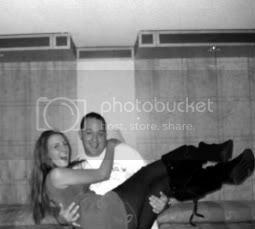 How many days before the wedding? How do you keep the cake fresh? ALL very good questions - no body wants a dry cake or stale cake! Is there a delivery charge? Most places do charge a delivery charge, luckily for us it is only $25 because we're about 10 miles from her bakery. How is pricing established? Is it strictly a per slice charge, or are there extra charges for certain designs? Our cake designer is charging per slice and per cupcake (since we are having both). Also, an important question for your caterer (if that's who will be cutting the cake) how much they charge to cut each slice. I've heard some places charge up to $3 per slice to be cut on TOP of how much you're paying for the cake. Also, once I reveal our cake design, we're lucky enough for her not to charge for decorations! Some cakes can get pretty detailed! So it's understandable if the cake designer would charge extra for some designs. Is a deposit required? What are the terms? When is the final payment due? All important questions for any vendor you're booking for your wedding. I love getting receipts or contracts, it gives me peace of mind that I don't have to worry down the road if a vendor is going to bail on me. Whenever we are doing any of these things we always take money with us to put down a deposit, if you really like it you don't want to lose that person! I was excited to test out a lot of this past month's Ipsy bag. 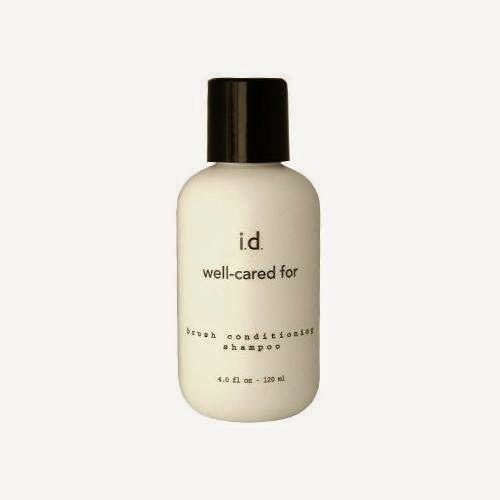 I have been using this moisturizer for over a week now and still have some left of this sample! As you guys know, I break out very easily so I'm always afraid to try new facial products. After reading reviews I felt less hesitant. Surprisingly this product does not make me break out, and leaves my skin moisturized! In the winter my skin gets very dry so it's frustrating, this helps with that flaky skin I get around my nose and chin. You can purchase this here for $40 for a full size. Will I be buying the full size? Most likely not, I can't justify a $40 bottle of moisturizer. This is a very pretty shade of blue. I don't have much to say because I haven't used it. I'm trying to give my nails a break after painting them every day in December. You can find it here for $6. I don't know what my obsession with brushes are because I always end up using the same ones. Haha. But I was excited to try out this Elizabeth Mott All Over Shadow brush. How could you not love the color of this?! I must say after using this brush a few times I do love it. It picks up pigment really well and has well packed in bristles for easy blending use. You can find it here for $9.99. I also got two new eye shadows. I have used Pacifica eye shadows before from Ipsy glam bags and have not been impressed, and I'm going to have to say the same for this. The pigmentation just isn't there for me. I like color to show up on my lids not fade away once you apply it. Even with eyeshadow base this just doesnt show up. I'm not even going to link it because it's not worth it in my opinion. Save your money. The BellaPierre is to the left and Pacifica is to the right. I had a very enjoyable 3-day weekend and wish I could re-live it all over again. :) It was a very hectic weekend but a lot of fun. This weekend was my fiance's big 3-0 birthday! He didn't want to be reminded of it so I made sure not to mention it at all. After all, I wouldn't want to be reminded of my age as I get older on my birthday. After my work day on Thursday we were off to Atlantic City! I have been looking forward to this since the beginning of January, I was so excited! I have a lot of pictures on my camera (I'm trying to use that more than my phone) so I'll share the few that I do have. This was my outfit for his birthday, he even gave me a compliment on it. It's the little things that you remember. I wore my "military" jacket from Kohls, Old Navy stripped skirt, Wal-Mart tights, JCPenney booties, Forever 21 infiniti scarf I got on Black Friday. We decided to take a stroll on the boardwalk as the sun was setting. Isn't the boardwalk so pretty? Our view from our hotel - so pretty! This is my outfit for Saturday. We had intentions of just walking the board walk and going some shopping so I wanted to be warm. I wore this sweater dress I got for Christmas from Love Culture, tights, Ugg boots and my Ebay blanket scarf. I was nice and warm. Once I transfer the photos from my camera to my computer I may share more. Now onto planning the rest of my week in my Erin Condren planner. I LOVE that thing, I get so much more done during the week instead of saving it for the weekend. Haha. 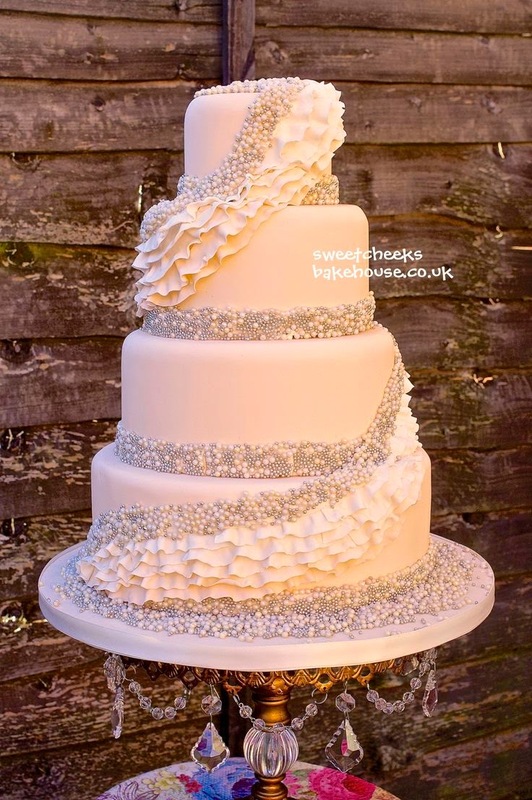 Today I'm sharing some pictures I used as my wedding cake inspiration when I went to meet with our cake designer (more on this in a separate post). I always pictured my wedding cake to be cupcakes but my fiance convinced me to do a cake and cupcakes. And I agree with him. 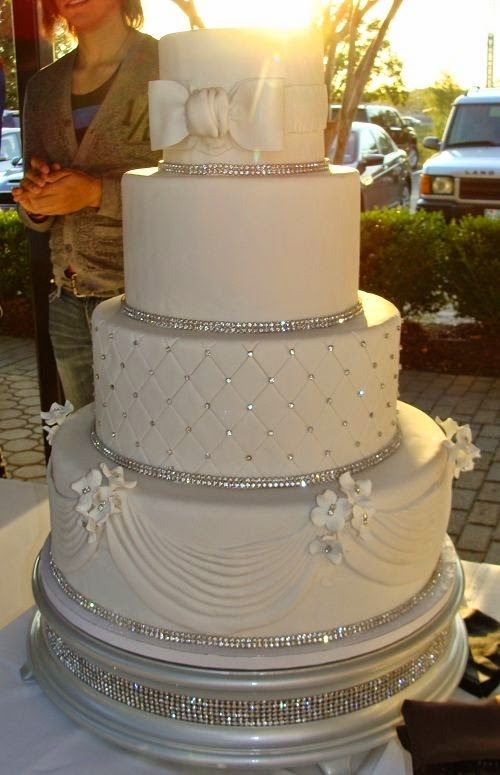 It's just not a wedding without a big cake. And smashing a cupcake in each other's face isn't the same either. Hehe. I didn't want to incorporate any of our wedding colors (pink and orange) into the cake. I always pictured it to be white with a touch of glitter/sequin, to me it gives it a more classy/elegant. I am also not a fan of flowers, I think it looks nice, just not for me. I guess I was a little picky. I love my cake! I finally had time this weekend to take pictures of my new Erin Condren Life Planner. I'm sure you have seen me posting a lot of pictures on my Instagram (vzaleski) of this planner, I just can't get enough of it! It's one step closer to my 2015 New Years Resolution of becoming more organized. I asked for this planner for Christmas as I would never spend $50 on a planner for myself. So far, it's been worth every penny. After using it for a month I find that I'm getting more things done that I've been wanting to get done. I usually take time every Sunday and sit down and plan my week. I found that doing this forces me to see what's coming up in the next week AND what I want to do in the next week. I'm always saying I never have time to get things done, well this forces to re-evaluate my time and actually get things done. Along with getting more organized, I also am using this as my planner for my upcoming Wedding. There are so many dates and times you need to keep track of I would never be able to remember them without writing them down. It's also a way for me to look back, especially if I'm like "When did we book them?" or "How much of a deposit did we put down?" etc etc etc! I am also using it to plan my blog posts. If I plan out what I want to blog about, it forces me to take time to get the things ready to take pictures and edit them. This is the back cover. She also included these with your order, a bunch of stickers. I love the owl "This Book Belong To:"
I keep my silver sparkly headband around it to keep from losing anything I have inside. On the inside is a over view of the months, this way you don't have to go through every month to see what date falls on what day. This was when I was first started to decorate and plan (I've gotten much better - I promise!) Before the weekly planning the planner has a month overview with a little side bar for notes. This is my first week of planning. As you can see we went away for New Years Eve so I did some decorating on those days. Along with starting my diet for the wedding. On Sunday we met with our caterer so I wanted to make sure I remember what time it was. Week two I was starting to get the hang of it. This is what your typical week looks like. It has your days broken out between Morning, Day, Night. A lot of people cover them up with washi tape, which is what I am doing. I haven't decided if I like doing it that way or not. I like the idea of not being confined to morning, day or night for my planning, but at the same time, I do, especially if I want an overview of what I am doing for the night. On the side is where a lot of people create a To-Do list for the week. On the bottom is where you plan your meals, exercise and daily dos. I use this section for what I want to blog about for the day. There is a big section for just notes. I've seen people put in their recipes they want to try, or track their weight and exercise or just a grocery list, the possibilities are endless. I plan on creating a page dedicated to my cleaning schedule. And then there are plain pages without lines. I've seen people just draw in these, I haven't decided what I'll use it for yet. You also get a page of Birthday stickers. I love these! It's an easy way for me to keep track of everyone's birthday. And next year when I am planning again I can look back on this planner to keep track of everyone's birthdays! There are also Game, Hair Appt, Doc Appt, Mani/Pedi, Vacation stickers. You also get a bunch of blank ones as well to fill in. This is a loose calendar for a quick overview of birthdays instead of going through your planner week by week. It also gives you an overview of important dates. In the back is a "zip lock bag" for any loose items. I plan on keeping my pens and stickers in it. There is also a interlocking ruler. I use this to mark what week I'm on, it's just easy to flip to that way. If you're interested in the planner you can find it here.